Everyone have seem to enjoy the extra days off and kept themselves busy. The Sharks were no exception! 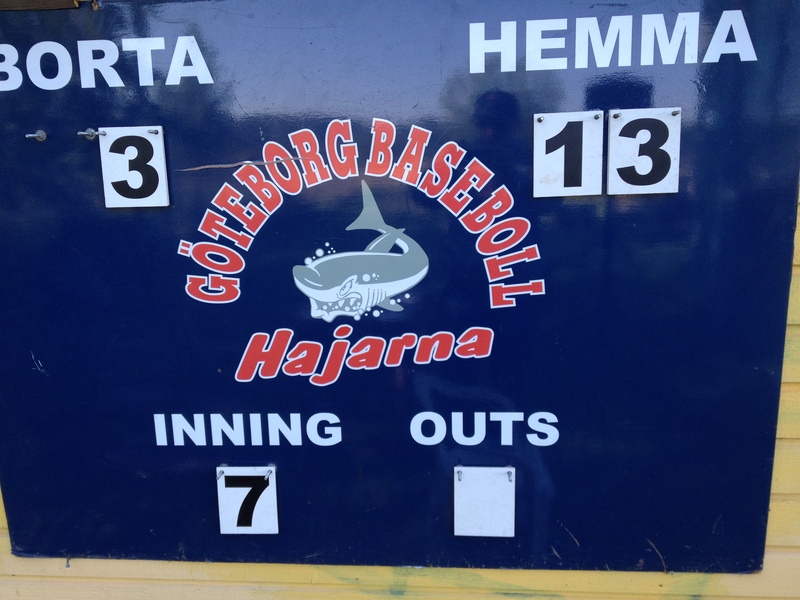 A double header versus the Swedish Academy on Thursday and two more games today versus the Karlskoga Bats. 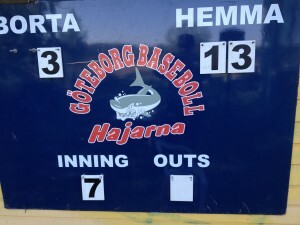 Gothenburg Sharks had to surrender game one versus the Swedish Academy but came back and took game number two. The Sharks blew up the zero in winnings column! However, it seems like four games within four days took its toll on the Sharks. According to first results from Karlskoga, they failed to come up on the board in either of the games. We’ll produce a more extended report from the weekend later on this week. This entry was posted in Gothenburg Sharks on June 1, 2014 by Marcus.